Let's introduce the team behind Wild Society App Project. The team behind Wild Society App Project. Everything started from a sparkle, from the desire to store all the outdoor expeditions in a kind of virtual diary, where it was also possible to add pictures to keep safe all the memories of those fantastic days spent in the wild.The project became real very soon, and with the support of family and friends, and many sleepless nights, the simple “virtual Diary”, created to record hunting and fishing adventures, became what we know it now as Wild Society App. In the recent months the App has grown a lot, and thanks to its creator and his crew‘s hard work, all the members can now plan and enjoy their expeditions, keeping track of all their achievements while enjoying their outdoor adventures. 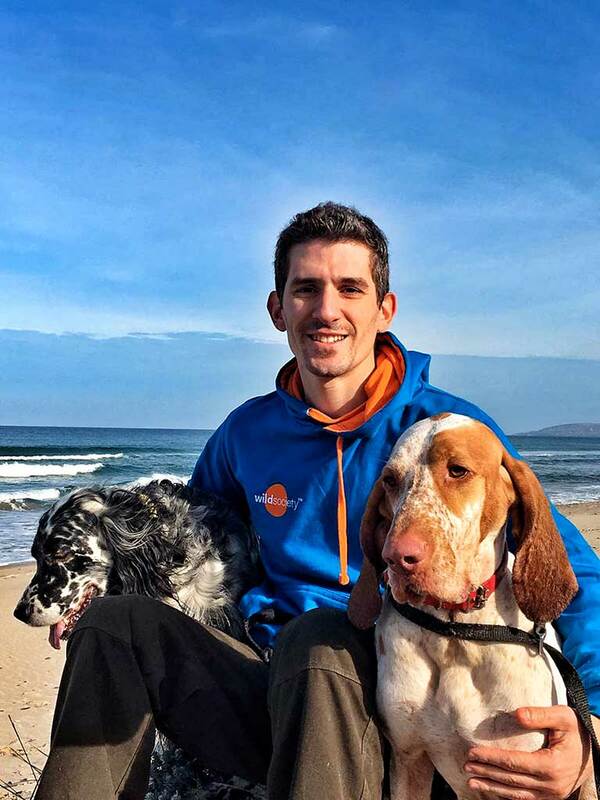 VITTORIO, 34 years old, hunter and fisherman, is the creative mind of the Wild Society App project. Founder, Director and Project Manager has put all of himself in the development of this community since deciding to invest all his time in it. When not locked in the office to work on his many projects, he packs everything, loads his Jeep and with his inseparable companions of adventures, Perla and Nana, takes refuge in the most remote wild corners in search of peace and outdoor adventures. Vittorio loves photography, travelling and the art of respecting and preserving old and ancient traditions. He cannot stand those who don’t look at him in the eyes when talking to him and those who believe that appearing counts more than being. Office Manager and Shows Organiser. ELISA C, 29 years old, outdoor passionate and angler. 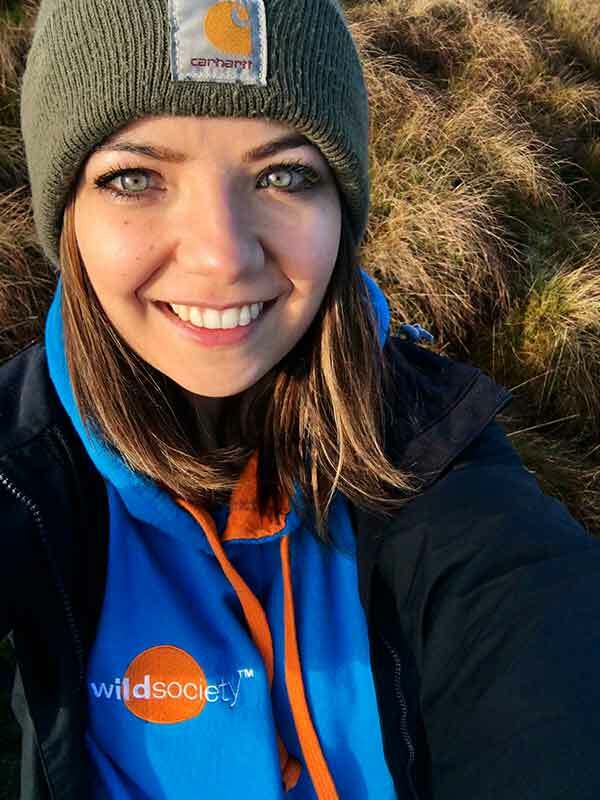 She comes from the amazing Sardinia island and nature has always been part of her life as she grew up surrounded by the sea and the sublime wild Sardinian countryside.Elisa loves hiking, wild camping, travelling and...shopping of course! She also loves the snow and all the sports related to it, especially snowboarding. Elisa hates dieting, beating around the bush, the rain and the cloudy days; and she definitely doesn't like beetroots. 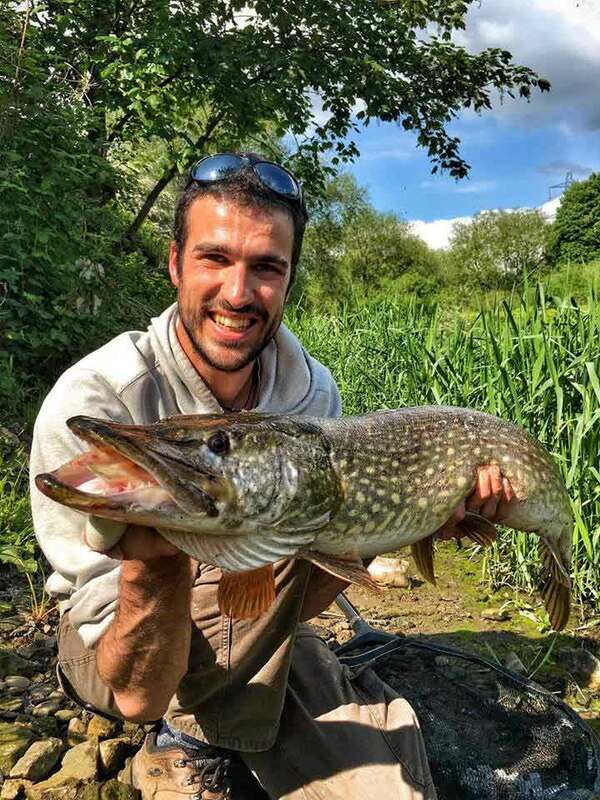 Fede adores fishing for big Pikes! Fishing Consultant and Database creator. FEDERICO, 28 years old, the mathematic-minded angler. Passionate of numbers, statistics, fish and the science lying behind them. He has always been interested in the weirdest, bad looking and most particular fish, that doesn't necessarily mean the less common. He loves to travel and get to know different people, he adores enjoying the silence of nature, and he gets super excited for the simplest things embedded into the big world of fishing. He hates shopping centres (and the people populating them). Role in WS: Marketing and Socials Network. ELISA F, 27 years old,nature and marketing are her biggest passions. 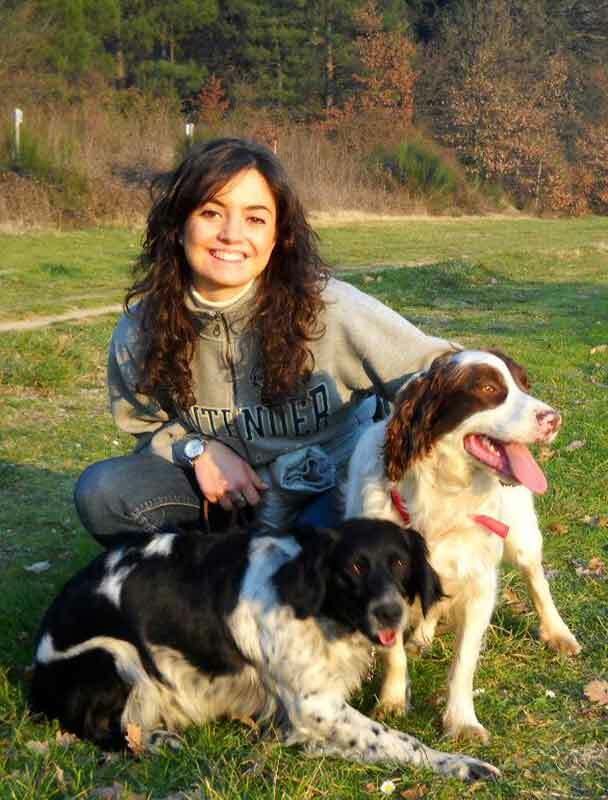 She comes from the Tuscan countryside, was born in Pistoia, near Florence and she grew up with a hunter daddy and grandpa. Hunting Sunday lunches are among her best memories when all the family used to gather with all hunters friends at least once a month. She has 2 lovely Springer Spaniel dogs and walking and playing with them is absolutely one of the best things in the world. Outdoor activities and cooking occupy her free time and she keeps loving hunting meals with friends.